This IETF document provides detailed description of IPv6 deployment and integration methods and scenarios in today's Service Provider Broadband networks in coexistence with deployed IPv4 services. Cable/HFC, BB Ethernet, xDSL and WLAN are the main BB technologies that are currently deployed, and discussed in this document. The emerging PLC/BPL access technology is also discussed contributed with the results of the 6POWER project. It is the power supply that drives your computer, not the Internet connection. So says the traditional logic that electricity companies supply power and telecommunications companies, well, telecommunications. But this year could be a watershed for reversing that logic. Power Line Communication (PLC) allows the electricity grid to supply megawatts and megabytes - and at rates matching or surpassing those of DSL and cable. As PLC starts to be implemented in Europe, the IST project 6POWER is looking to its future, and particularly to how it will enhance and indeed make necessary the roll out of the next-generation Internet, the Internet Protocol Version 6 (IPv6). ETSI Plugtests is pleased to invite companies to attend the 1st Powerline Technologies (PLT) interoperability event organised with the ETSI PLT committee with the cooperation of 6POWER. The 6POWER project has already provided good exploitation results. The QoS mechanism developed by the project has enabled the offering of toll-quality voice services over PLC, and consequently allowed early commercial exploitation. 6POWER just published a new and very interesting deliverable, documenting the case for the deployment of IPv6 PLC. One of several remarkable demonstrations was the PLC connectivity provided at the conference venue by the 6POWER project. The power grid of the hotel facilitated the distribution of several WLAN access points in locations not accessible by means of regular network wiring, enabling a better wireless coverage, for both IPv4 and IPv6. The registration for the next Madrid 2003 Global IPv6 Summit is open. Several IST projects will make public trials of the latest developments and progress, with new services and applications. The IPv6 Cluster is also offering a special workshop, with participation from several IST projects, about the IPv6 Deployment Learned Lessons. Several keynote speakers will cover a broad number of interesting topics, and several important announcements will be made. This will be probably the bigger international IPv6 Forum event, with expected participation of 1.000 delegates. Finally, the 1st IPv6 Applications contest Award will be delivered. The 6POWER project was presented at CeBIT 2003, as part of a series of key note speeches performed by DS2 at the "World of Powerline" pavillion. The "World of Powerline" pavillion featured booths from 8 vendors of powerline technology. The presentation on 17/March focused on describing the synergies of powerline with other communication technologies, including IPv6. CeBIT, with more than 6500 exhibitors from 60 countries and more than 700000 visitors each year is the most important event covering Information and Communication Technologies worldwide. A presentation of the Spanish IPv6 Task Force, and the European projects and initiatives has been made in Lisbon, by Jordi Palet during the kick-off of the Portugal IPv6 Task Force. This included the 6POWER project. 6POWER (IPv6, QoS & Power Line Integration) will be introduced at the next Upper Side Conference. Describing a research projectwhich main goal is to contribute to ensuring affordable broadband access and the deployment of IPv6 in Europe, as stated in theconclusion of the Presidency from the Barcelona European Summit. In order to achieve this goal, the project will research the nativesupport and deployment of IPv6, QoS and other advanced services over Power Line Communication networks. The project will be activein dissemination and linkage activities, with other related Foras and Projects, including IPv6 Forum, 6Link, IPv6 Cluster, and otherevents related to IPv6, PLC, and related technologies, in order to publicize the project results. The Austrian Association of Electricity Utilities represents some 140 Austrian companies operating in the electricity sector. The Association is a non-profit organisation. Its membership comprises governmental, regional, municipal an private companies, which altogether, generate more than 90 percent of Austria's electricity total. The Association invited DS2 to participate in a the "PLC Info Day", which was organized on Nov 28th. DS2's presentation included a description of its broadband PLC technology and the development projects in which DS2 is involved. An explanation of the 6POWER was presented, with an special focus on the advantages that IPv6 can provide to electricity utilities deploying PLC access networks. CIGRE (International Council on Large Electric Systems) is a permanent international, non government, non-profit-making Association, founded in France, in 1921. Its aim is to develop and distribute technical knowledge in the field of the generation and transmission of high voltage electricity. With members in over 80 countries, CIGRE is the worldwide forum that unites all the key partners, research workers, academics, producers, manufacturers, system operators, traders, and regulatory bodies, bringing together technical innovation, requirements and operators' experience. The net@home conference is the most important event on home-networking in Europe. DS2, as Platinum Sponsor of the event, presented its vision of the connected home via power lines, and the role of IPv6 and the 6POWER project in this vision. DS2's presentation was part of a session which included panelists from Microsoft eHome Division, Echelon and the European Comission IST program. 6POWER has been introduced by Jordi Palet (Consulintel) at the last RedIRIS event in Salamanca (Spain). 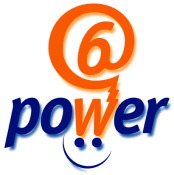 6POWER will be presented at the next Renater Conference "Where are we with IPv6 ?" in Paris. The main goal of the project is to contribute to ensuring affordable broadband access and the deployment of IPv6 in Europe, as stated in the conclusion of the Presidency from the Barcelona European Summit. In order to achieve this goal, the project will research the native support and deployment of IPv6, QoS and other advanced services over Power Line Communication networks. "How IP can reach ... all the planet: 6POWER". The 6POWER project will be presented in Bucharest at the IST Broadband event. The talk will introduce PLC and IPv6 as an Access Network Technology, in the track "Technologies for Broadband Access Networks". The talk will emphasize the capabilities of the PLC technology, and IPv6 features as the autoconfiguration for the universal deployment of broadband. 6POWER presented at Campus-Party 2002 event (5 and 8/8/2002). The 6POWER project has been introduced twice during the Campus-Party event, in Valencia. The presentation included an IPv6 Tutorial, introduction of the world status, including Europe and Spain, and short introductions to several IPv6 European projects. During this event a world wide record has been achieved, where over 1200 PCs were configured with IPv6 stacks. A complete documentation about IPv6 and the projects was provided to all the attendees. 6POWER presented at FICIT 2002 event (2/8/2002). In the frame of the FICIT 2K2 event, in Gran Canaria, 6POWER project was presented. The presentation included a short IPv6 Introduction and Tutorial, world situation, including Europe and Spain, and short introductions to several IPv6 European projects. During this event a world wide record has been achieved, where Gran Canaria was communicated via WLAN technology (IPv4 and IPv6) with Tenerife; the distance between both islands is over the 70 Km. Complete documentation about IPv6 and the projects was provided to all the attendees. 6POWER project has been briefly introduced to a group of Hitachi researchers, in Yokohama, after the IETF event. Other IST projects had been introduced. All the partners or 6POWER had meet in a very profitable and long working session in Valencia, for the project kick-off. After a long working session, the partners joined for a dinner. During a meeting with several Japan officials and representatives of the Japan IPv6 Promotion Council, with partners of the just started Eurov6 project, several IST projects were introduced, including 6POWER as one of the key broadband and IPv6 new IST projects. The interest for this technology was highly impacting. This event is targeted to the Public Administration, and included a short IPv6 introduction and tutorial, followed buy the practical part about the real worldwide experiences with IPv6. Then several European projects were introduced, including 6POWER. The delegates and other speakers made a lot of questions about this interesting technology, new for most of them. The IPv6 Forum welcomes everyone interested in the Next Generation Internet to attend the IPv6 Technology Deployment Summit in Arlington, VA, just 5 minutes from downtown Washington, D.C. The IPv6 Technology Deployment Summit will be held in conjunction with INET 2002, the premier event for the global Internet community, providing an international forum for advancing the development and implementation of Internet networks, technologies, applications and policies. 6POWER and other European projects were introduced to different groups of delegates. The Spanish IPv6 Task Force has been kicked-off in Madrid, as the result of the recommendations of the European IPv6 Task Force. Several IST projects had been introduced to the audience in order to explain the current situation and what is foreseen in the future with IPv6 experimentation and deployment. 6POWER was one of the main projects that was presented. The Pan-European IPv6 IX Backbone talk, in the session "National and Regional IPv6 Projects and Activities & Deployment", introduced the Euro6IX project to over 2.000 people from Chine and other Asian countries, in order to look for future collaboration and partnership activities. The event is hosted by the Global IPv6 Forum, Beijing Internet-networking Institute (BII), China Academy of Telecommunications Research of MII (CATR) and China Education and Research Network (CERNET). 6POWER was one of the European projects also introduced to the audience.